Regarded as one of the iconic actresses, Savitri has ruled the south film industry for more than two decades with her flawless beauty and acting. Like her reel life, the real life of Savitri between birth and demise was also intriguing. Though she passed away long back, she still remains immortal in the hearts of the people. In the past few days, a video about her unknown life went viral over the internet. After her marriage to Gemini Ganeshan, she lost her properties in the form of donations, scandals and business losses. Later, she was prone to alcoholism and addicted to drugs during the last stages of her life. Unfortunately, she had stayed in a small rented house with her children and also got the worst medication. Savitri suffered for more than 18 months and finally passed away on 1981. It is really heart wrenching that the legendary actress of South film industry had gone through hell during the last days. The great actress will always remain in our hearts by inspiring us. 1. Actress Savitri lost her father in the age of 6 years and she was raised by her uncle and aunt. 2. Rather than show interesting into studies, she was more into acting and dancing in theater groups. Savitri started performing in theater groups around the 8 years of age. 3. At the age of 12, Savitri tried to make-up to show herself old for the auditions but nothing worked out. 4. 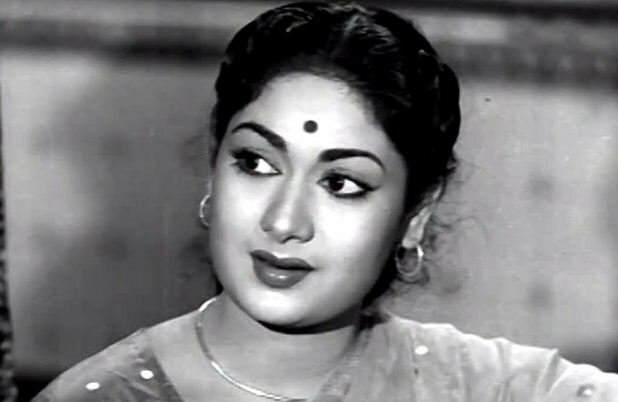 In 1950 Savitri got first film chance to act along with Akkineni Nageswara Rao for the movie “Samsaaram”. At the time Savitri was very nervous even she went for repeated retakes but she was not able to deliver 100% and then the role was given to Lakshmi Kantham. That’s how she lost her first film offer. 5. Misamma movie is a very special movie for Savitri and we all know about it as well. She was originally supposed to be played by Actress Banumati. But when shooting started for the movie Banumati didn’t attend shooting properly, In anger of that producers gave the lead role to Savitri & rest is history. 6. Savitri is very fond of jewellery and during shooting time, she used to get her own jewellery. 7. Savitri was a race car enthusiast and at one point had the highest collection of vintage cars in Chennai. 8. She was always generous. She kept her house open for the needy. She was also known for providing financial support for budding actresses. 9. Mahanati Savitri was a race car enthusiast and at one point, she had the highest collection of vintage cars in Chennai. 10.The actress’ downfall began around 1969. Her marriage to Gemini Ganesan was falling apart and she became an alcoholic.